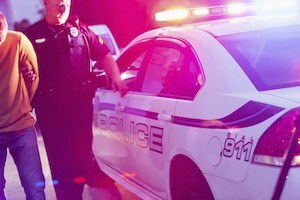 There are two varieties of traffic tickets that are issued by Southfield police officers, Oakland County sheriffs, and Michigan State troopers in Southfield, Michigan: civil infractions and misdemeanors. It is important to understand the difference between these tickets and the potential consequences that they carry in order to properly address your situation. Civil infractions are issued for alleged violations of Michigan State law and Southfield local ordinance laws, such as: Limited Access Speed, Failure to Maintain Assured Clear Distance, Speeding, making an Improper Turn, Disobeying a Traffic Control Device (running a red light), etc., which are non-criminal. You have the option of resolving your Southfield civil infraction by making a timely payment of the scheduled fine at the 46th District Court, which is located at 26000 Evergreen Road, Southfield 48076. The trouble with not fighting the ticket and just paying the assessed fine to the 46th District Court before a default is entered is that points are usually assessed for the traffic violation (depending upon the nature of the ticket), and the violation in most cases becomes permanently entered onto your driving record even though the points go away with time. Having traffic violations entered onto your driving record will likely lead to an increase in the cost of your automobile insurance, it may cause the loss driving privileges altogether for a period of time (if you obtain too many points), it could cause job related issues (if your job requires driving), and will likely reduce your chances that a law enforcement officer will give you a break for future traffic stops. Traffic misdemeanors are considered low level criminal offenses for alleged conduct such as Drinking and Driving (OUI, DUI, OWI, DWI, Super Drunk, Zero Tolerance Violation, OUI 2nd Offense), Reckless Driving, Open Intoxicants in a Motor Vehicle, Driving While License Suspended (DWLS), Failure to Stop at a Property Damage Accident, No Insurance, Expired Plates, etc., which require a court appearance to address the specified misdemeanor. Traffic related misdemeanors throughout Michigan can result in a jail sentence, being placed on probation with conditions (no driving without a license, drug/alcohol testing, community service, etc. ), driver's license sanctions (for some offenses), damage to your reputation, and having a permanent criminal record that in many cases cannot ever be expunged. There are several felonies that are also traffic offenses such as Unlawfully Driving Away an Automobile (UDAA), Unlawful Use of a Motor Vehicle, OUIL Causing Serious Injury or Death, OUIL 3rd Offense, Felonious Assault (with the car being the alleged dangerous weapon), and Fleeing and Eluding Police, etc.. These traffic related felonies are charged in most cases with the filing of a complaint by the prosecutor's office with jurisdiction over the case (after a swear to occurs before a Judge) and not by the mere issuance of a traffic citation. Traffic felonies can result in a jail or prison sentence, being placed on probation with conditions (no driving without a license, drug/alcohol testing, community service, etc. ), driver's license sanctions, damage to your reputation, and having a conviction that cannot be expunged in the future. Because s felony traffic accusation requires experienced legal representation from a lawyer with proven abilities, the smart decision is to hire an experienced attorney to represent you in court. All Felony charges in Michigan (traffic or otherwise) are initially scheduled at the District Court with jurisdiction, and are thereafter transferred ("bound over") to the Circuit Court that has jurisdiction if a probable cause determination is made at a preliminary examination or a waiver or the same. If you receive any type of traffic violation in Michigan (civil infraction, misdemeanor, or felony) you have the ability to engage the services of legal counsel to contest it on your behalf. If you make a demand for your civil infraction to be heard in a timely manner (before a "default" is entered), you have the right to a contested hearing in the Court with jurisdiction to contest whether or not it was established by a preponderance of the evidence (shown that it is more likely than not true) that the alleged civil infraction did in fact occur. The hearing scheduled is either an "informal hearing" (which does not involve lawyers - only yourself, the police officer/Michigan State trooper, and the Court magistrate or Judge - which is very difficult to win) or a "formal hearing" (where lawyers appear in Court before the assigned Judge and either litigate the ticket (heave a hearing) or negotiate a settlement. For any and all misdemeanor and felony allegations, you have important due process rights that are deemed fundamental to our Constitution that cannot be denied, such as the right to a trial where the prosecution has the sole burden of proving his or her case at trial beyond a reasonable doubt with competent evidence. A foolish mistake (but often made mistake) when it comes to any misdemeanor or felony traffic allegation is to not have legal counsel and represent yourself in Court. Someone who chooses not to have an experienced, respected, and licensed Michigan lawyer in Court is at a huge disadvantage because the Court will hold the individual to the same legal standards as an attorney, and they are opposed by an assistant prosecutor or city attorney who has many years of training and experience in the Michigan rules of evidence, Michigan criminal procedure, Michigan case and statutory law, direct and cross examination of witnesses, and the ways and proper methods of conducting a trial. You can request from your Judge a court appointed lawyer (if you are determined to be too poor to retain your own legal counsel), and pray that your court appointed counsel is eager and capable enough to fight for the right result, or choose to hire a highly rated lawyer, like attorney Daniel Hilf, who truly has your best interests at heart. For any civil infraction, misdemeanor, or felony traffic offense for a Southfield Michigan ticket or criminal charge, the recommended attorney to retain is Daniel Hilf, because he has the zealousness and necessary experience practicing before the three Judges and magistrates of the 46th District Court to fight for great result for his clients. You can feel free to contact attorney Daniel Hilf to discuss your traffic related situation and to potentially engage his legal services.